This Kids Bible lesson is designed to take the story of Jonah and to teach children that God loves His people. This lesson will be best utilized in a Sunday School or Kid’s Church setting but it can also be used at home or in a daycare. Game: The Color Game: Print/ cut out pictures of fish in different colors. Hold up one fish at a time and have the kids tell you what color the fish is. If they get the color right give them a fish sticker as a reward! Worship: (Please Note: if you do not have a copy of these songs you can find them on YouTube). Lesson Reinforcement: Print out a picture of a whale, a picture of Jonah, and a picture of a boat, and a picture of a storm. Hold up each picture as you talk about each of these people/ things. Story: A very long time ago lived a man named Jonah; God had a special job for Jonah, God wanted Jonah to go to the land of Nineveh and to tell the people that their evil ways had broken God’s heart. Jonah didn’t like this special job and so Jonah decided to run away. Jonah got onto a boat that was going in the opposite direction of Nineveh! While Jonah was on the boat a storm rose up around him and it shook and blew the boat so much that the sailors thought the boat was going to break! Oh no, how scary! Jonah knew that God had sent the storm and so Jonah told the sailors to throw him into the water. God loved Jonah and so God sent a big fish to swallow Jonah. Can you imagine being inside of a big fish? It must have been dark, and squishy, and smelled like the ocean! While Jonah was inside of the fish he prayed, and after he was done praying God commanded the fish to spit him up onto shore. 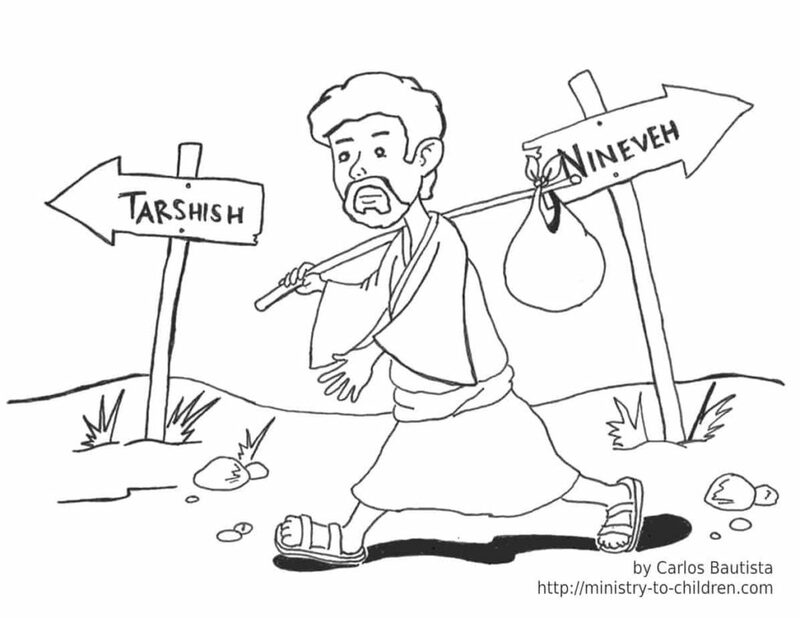 God still wanted Jonah to go to the land of Nineveh, and so Jonah obeyed God. Jonah told the people of Nineveh that their evil ways had broken God’s heart and that God was going to destroy them, and guess what, the people were sorry and the cried for God to forgive them. God loved his people so much that He decided to forgive them, God loved his people so much that he decided he was not going to destroy them. Application: God loves you very much and God is willing to forgive you when you tell him that you are sorry. Craft: Have the kids put beads onto a pipe cleaner. Once they are done twist the pip cleaner into the shape of a fish. Tony Kummer (Editor) reviewed & updated this page on : July 21, 2016 at 1:05 pm. All our content is peer reviewed by our readers, simply leave a comment on any post suggest an update.